I recently read two books, both of which revolve around the diversity of the Christian church in the middle ages. One of the currents in Christianity, which had proponents in Archbishop Nestorius and the middle east, was that God would never sully himself by actually inhabiting human flesh, having a mother, or a son. Perhaps the best remembered proponent of that belief was the Arab, Muhammad ibn Abudllah. Our knowledge of early Islam is weak. The Qu’ran itself is vague — one might say nearly timeless — and most of “early Islamic history” comes from hadiths written centuries after. A large fraction of the world’s population believe a book is all you need. Muslims believe that the Qu’ran is eternal, the first born of all creation, existing with God in heaven before the beginning of time. Many Protestants believe in Sola Scriptura, “the book alone,” that the traditions and councils and history of the church are at best irrelevant and at worst harmful, because the Bible has all the answers. There are two problems with “the book itself.” First, few Christians understand the definition or construction of their book. Second,few Muslims rely on their book alone, because of the incorporation of the hadiths into Islamic jurisprudence. 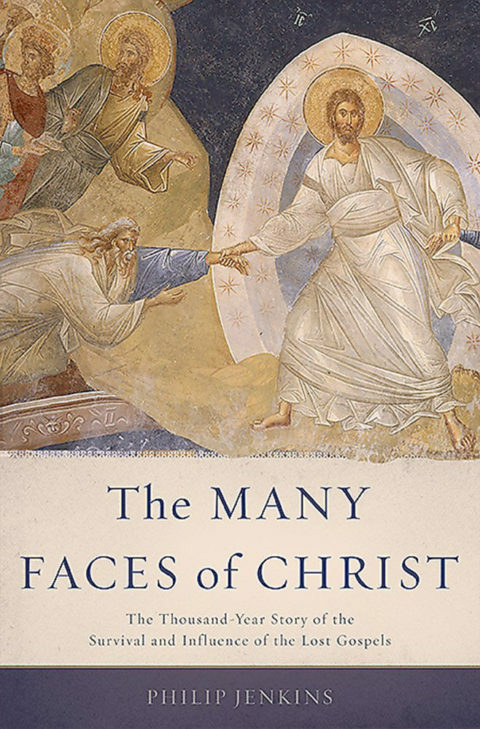 The Many Faces of Christ, by Phillip Jenkins, is a story of the writing and editing of the New Testament. Because the New Testament we are familiar with is fixed — Four Gospels, one Acts, several letters to specific churches, and so on — there’s a sense of that’s how naturally it should be. And indeed, virtually every Christian group uses the same four gospels — those according to Matthew, Mark, Luke, and John, as their base. But there differences begin. 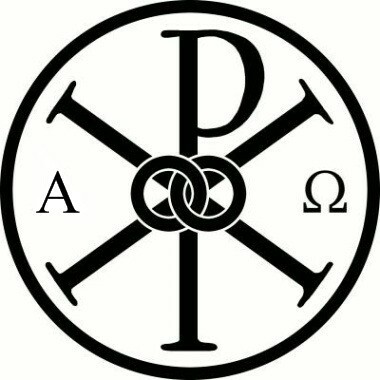 Is Acts of the Apostles properly part of the Bible itself (almost all groups: yes), or is it a work of hagiography (writing about holy lives), or is it simply false? What about the Protoevangelium of James, which focuses on the childhood of Mary? Martin Luther tried to remove the Letter to the Hebrews from the Bible… but perhaps the problem is Paul’s letters (like the Gnostics and the Muslims believe). The mass destruction of these “alternative” books began, not during the reign of Constantine, but during the Protestant Reformation. The Catholic Church’s prohibition against vernacular copies of the bible — but rarely those of “alternative” books (which were not holy and, therefore, simply works of fiction)such as the Cave of Treasures or the Gospel of James — meant those were widespread before the emergence of common-language Bibles. But “Sola Scriptura” meant that such sayings and legends no longer had a place in Protestant Christendom. The process of creating the Protestant Bible — of perfecting Luther’s “Sola Scriptura” — finished some time after Martin Luther, around 1800. After that year the Old Testament books Luther opposed rarely were included in Protestant Bibles, but the New Testament books Luther opposed were always included in Protestant Bibles. And when she was twelve years of age, the priests met in a council, and said, Behold, Mary is twelve years of age, what shall we do with her, for fear lest the holy place of the Lord our God should be defiled? Then replied the priests to Zacharias the high-priest, Do you stand at the altar of the Lord, and enter into the holy place, and make petitions concerning her, and whatsoever the Lord shall manifest unto you, that do. And behold the angel of the Lord came to him, and said, Zacharias, Zacharias, Go forth and call together all the widowers among the people, and let every one of them bring his rod, and he by whom the Lord shall shew a sign shall be the husband of Mary. And the criers went out through all Judaea, and the trumpet of the Lord sounded, and all the people ran and met together. Joseph also throwing away his hatchet, went out to meet them; and when they were met, they went to the high-priest; taking every man his rod. And when he had finished his prayer, he took the rods, and went forth and distributed them, and there was no miracle attended them. The last rod was taken by Joseph, said behold a dove proceeded out of the rod, and flew upon the head of Joseph. But Joseph refused, saying, I am an old man, and have children, but she is young, and I fear lest I should appear ridiculous in Israel. Then the high-priest replied, Joseph, Fear the Lord thy God, and remember how God dealt with Dathan, Korah, and Abiram, how the earth opened and swallowed them up, because of their contradiction. Now therefore, Joseph, fear God lest the like things should happen in your family. Joseph then being afraid, took her unto his house, and Joseph said unto Mary, Behold, I have taken thee from the temple of the Lord, and now I will leave thee in my house; I must go to mind my trade of building. The Lord be with thee. Behold! the angels said: “O Mary! God hath chosen thee and purified thee- chosen thee above the women of all nations. This is part of the tidings of the things unseen, which We reveal unto thee by inspiration: Thou wast not with them when they cast lots with arrows, as to which of them should be charged with the care of Mary: Nor wast thou with them when they disputed. Behold! the angels said: “O Mary! God giveth thee glad tidings of a Word from Him: his name will be Christ Jesus, the son of Mary, held in honour in this world and the Hereafter and of those nearest to God. If The Many Faces of Christ is the process of hacking off “unworthy” texts from the Bible, The Emergence of Islam by Gabriel Said Reynolds is about the opposite process that occurred in the Muslim worlds: how the Qu’ran has been drowned out by the Hadiths in Muslim religious literature. Hadiths are sayings of the prophet Muhammad. A biblical analogy might be to King David. David’s story was written down very quickly — the Book of Samuel seems to have been written during the time of King Solomon, and may have known King David. But the “sayings of David,” the Psalms, were probably written hundreds of years later. Interesting features of the Qu’ran include that iti never calls itself the Qu’ran (“Recitation”), though it repeatedly calls itself “The Book,” “The Book Manifest,” or “Th Reminder,” that the word Qu’ran itself appears to be Syrio-Aramiac and not Arabic, that the Qu’ran repeatedly emphasizes that it was written in Arabic, that the Qu’ran appears to use the Ethiopian version the Torah as a source, and that the Qu’ran, though it references many prophets, saints, the Virgin, and the Messiah, never names a known pagan idol or deity. Why it has these features is unknown, or at least not described in Reynolds book. 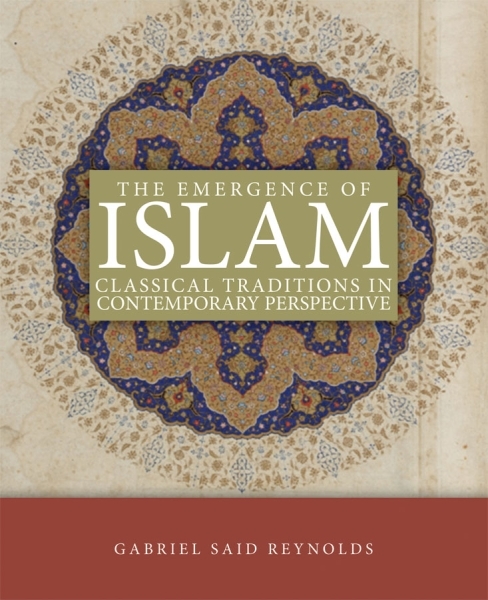 Rather, Reynolds spends most of it attacking the historicity of the Hadiths, which he argues were written to explain the Qu’ran to a later, and much different, imperial community. And Jonah was surely of those sent. So he shared with others but was of those cast away. So the fish took him into its mouth while he was blamable. He would have tarried in its belly till the day when they are raised. Then We cast him on the naked shore, while he was sick. And We caused a gourd to grow up for him. The Qu’ran was written in a plce and time where everyone knew much of the Bible and quasi-biblical literature (the Cave of Wonders, the Torah, the Book of Samuel, the Psalms, the Protoevangelium, the Gospels, and the Letters of Paul all seem to be familiar to the author of the Qu’ran), but by the time the Hadiths were written this knowledge had been lost, and the cultural difference between Muslims, Jews, and Christians had become to vast that using the Book of Jonah as a reference was now out of the question. A consequence of this view — that the Qu’ran is an ancient text but that the hadiths were written long after to explain to the Qu’ran — is that we now very little of the emergence of Islam. 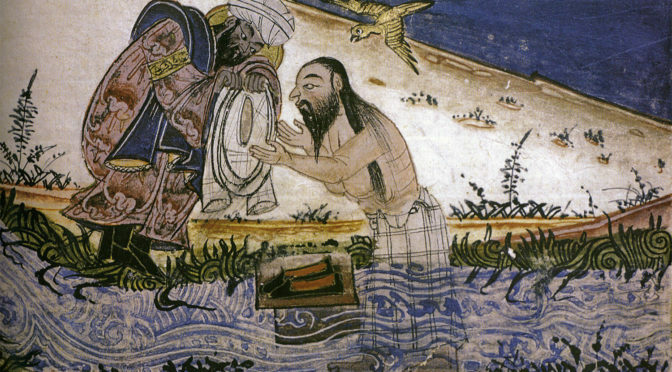 Almost Muhammad’s entire biography may be incorrect, as it is based on hadiths written hundreds of years after his life. The offspring of those whom We bore with Noah. Surely he was a grateful servant. In the hadiths, the answer is clear: the references are to Muhammad, Mecca, and Jerusalem. But Said suggests, the answer can just as plausibly be Elijah, Jerusalem, and Mt. Sinai. These are the exalted “Gharaniq” whose intercession is hoped for. The names Al-lat, Al-Uzza, Manat, and the word, “Gharaniq” are words unknown before hte publication of the qu’ran. What is interceding? Most texts will say these are goddesses, but no other pagan gods or goddesses are mentioned in the Qu’ran. Numerous prophets, angels, and saints, though, are mentioned. 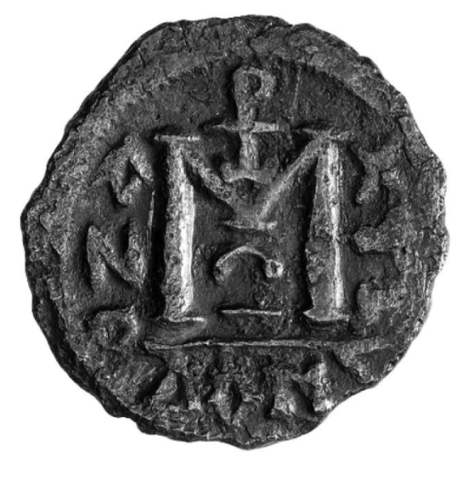 Perhaps Al-lat, Al-Uzza, and Manat are the names of prophets, angels, or saints? Perhaps they as silent to history as St. Kilda. Perhaps they are guardian angels? We don’t know. There is so much we don’t know. I’m glad I read The Many Faces of Christ before The Emergence of Islam, because the Qu’ran’s scattershot approach to the Bible makes more sense in light of how the Bible was assembled. 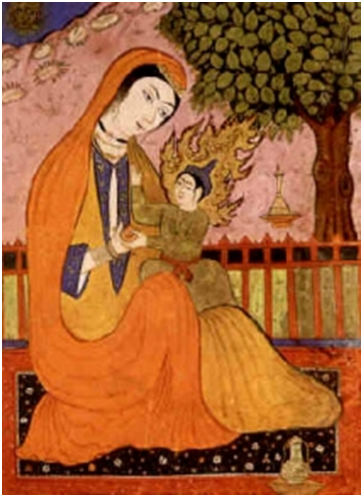 When the Patriarch of Constantinople denied God had a mother, though venerated the Virgin, the Qu’rans denial and veneration of the same is less surprising. Likewise, the Quran’s inclusion of apocryphal works (such as the Cave of Wonders or the Protoevangelium) but apparent ignorance of the Wisdom Books, also makes sense when one considers the state of the flux the biblical cannon was then in. As an aside to style/readability, I much liked your “fan fiction” reference and the call out to “Veggie Tales”.